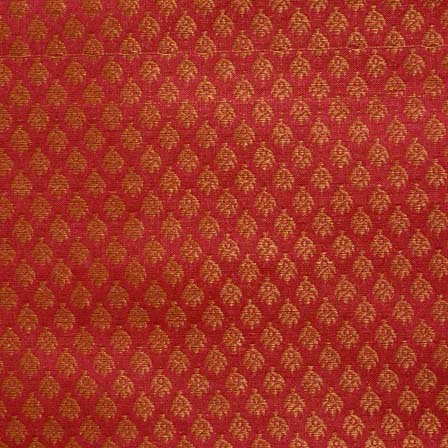 This Maroon and Golden Leaf Pattern Brocade Silk Fabric by the yard is made from Brocade Silk Fabric. 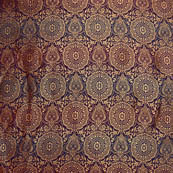 Color of this Fabric is Maroon and Golden. It is 110 centimeter or 44 inches. 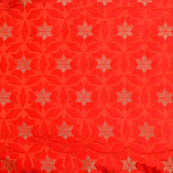 It is recommended to dry clean only..
Coral Pink and Golden Flo..
Cyan and silver leaf patt.. 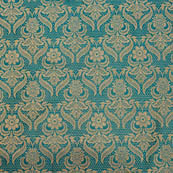 This Cyan and silver leaf pattern brocade silk fabric-4618. Width is 110 centimeter or 44 inches and Length is 100 CM or 40 inch. It is recommended to dry clean only..
- Colour- Cyan and Silver .Slight difference in color from the visible product image is possible. 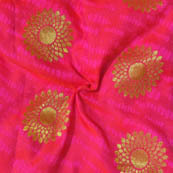 This Pink and Golden Flower Pattern Brocade Silk Fabric-8014 is made from Silk Fabric. Color of this Fabric is Pink. Width is 110 centimeter or 44 inches and Length is 100 CM or 40 inch. It is recommended to dry clean only..
Cerulean blue and Golden .. 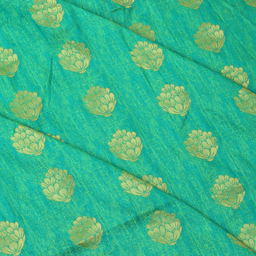 This Cerulean blue and Golden Circular Flower Brocade Silk Fabric by the yard is made from Brocade Silk Fabric. Color of this Fabric is Cerulean blue and Golden. It is 110 centimeter or 44 inches. It is recommended to dry clean only..
Cyan Blue flower shape go.. 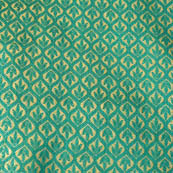 This Cyan Blue flower shape golden silk brocade fabric-4976 is made from Silk Fabric. 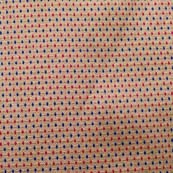 Color of this Fabric is Blue. Width is 110 centimeter or 44 inches and Length is 100 CM or 40 inch. It is recommended to dry clean only..
Red and Light Black Shade..
Red and Golden circular s.. 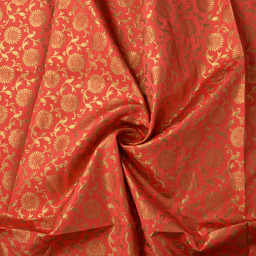 This Red and Golden circular star shape brocade silk fabric-5014 is made from Silk Fabric. 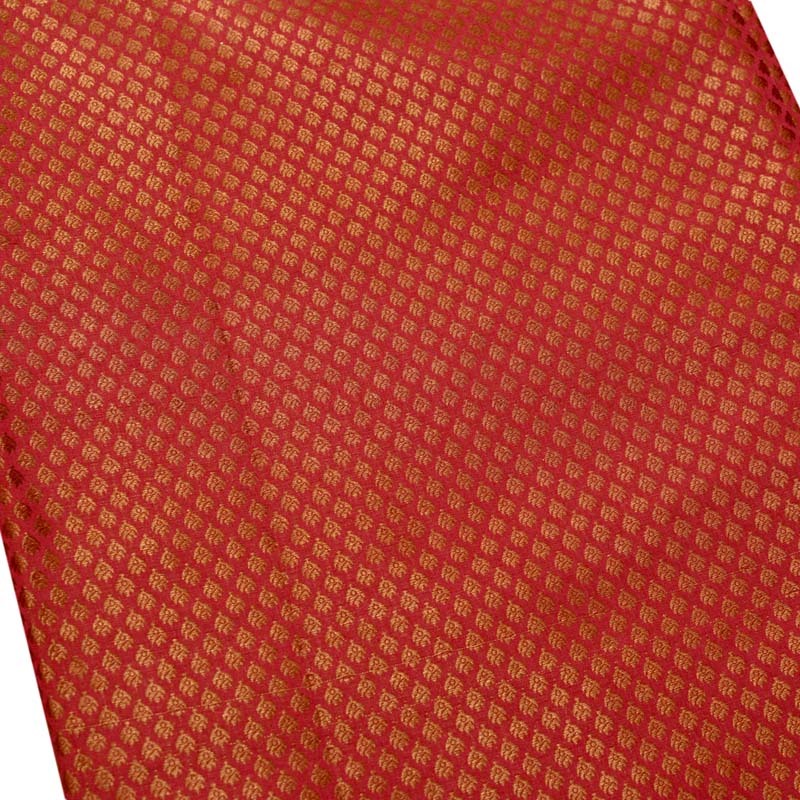 Color of this Fabric is Red. Width is 110 centimeter or 44 inches and Length is 100 CM or 40 inch. It is recommended to dry clean only..
Green and Golden Flower P..
Black and small silver fl.. 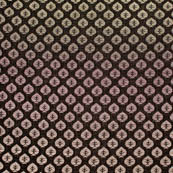 This Black and small silver flower pattern brocade silk fabric-4660. Width is 110 centimeter or 44 inches and Length is 100 CM or 40 inch. It is recommended to dry clean only..
- Colour- Black and Silver .Slight difference in color from the visible product image is possible. Dark Blue and Golden Tria..
Golden and Blue and Red M.. 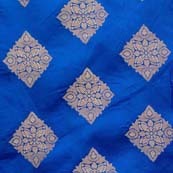 This Golden and Blue and Red Multi Triangles Pattern Brocade Silk Fabric by the yard is made from Brocade Silk Fabric. 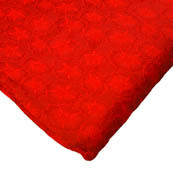 Color of this Fabric is Golden and Red and Blue. It is 110 centimeter or 44 inches. It is recommended to dry clean only..
Blue and golden circular .. 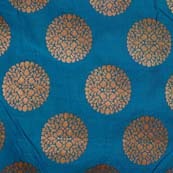 This Blue and golden circular shape brocade silk fabric-5002 is made from Silk Fabric. Color of this Fabric is Blue. Width is 110 centimeter or 44 inches and Length is 100 CM or 40 inch. It is recommended to dry clean only..